This isn't the first time we've featured this SRT powered pickup, but the price has dropped quite a few Benjamins and it is starting to make sense from a financial perspective. 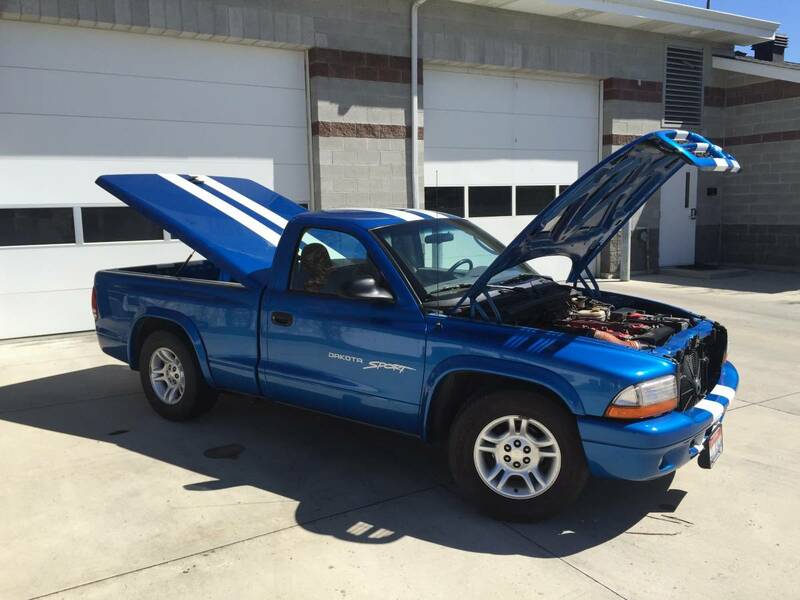 Find this 2001 Dodge Dakota V10 custom offered for $23,000 in Boise, ID via craigslist. After giving away my first car - a '74 Javelin - last year, an American Motors sized hole has existed in the fabric of my being. In a separate but to-be-related path, I had also purchased a TKO-500 transmission for an Aussie XE Falcon ute project a couple of months ago from a buddy in Indiana. The problem was that the trans was 800 miles away without a great way to get it home. 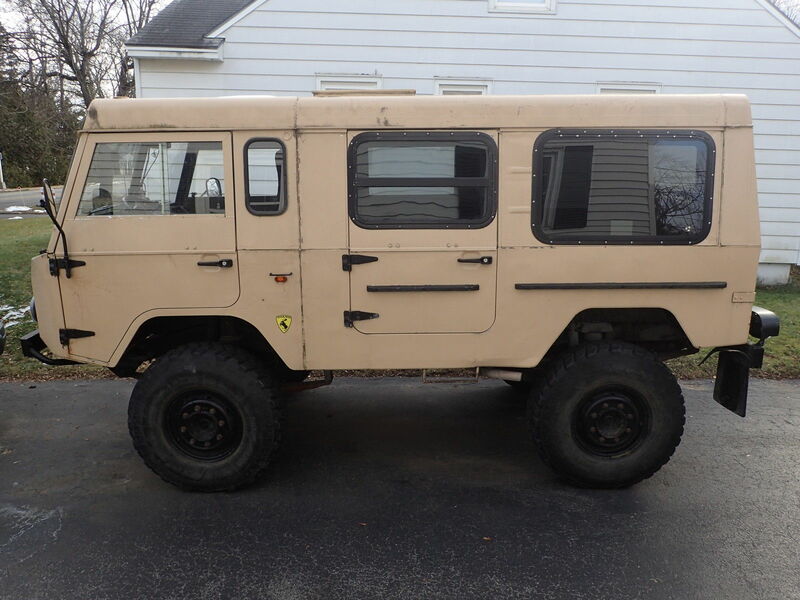 The idea was this: since it's going to be substantial monies to palletize and ship the trans, why not find a beater to buy, drive home, and sell immediately for a net-zero? Enter random craigslist AMC Concord as transmission transportation and return travel from a business trip for myself, two buddies, and zero tools. The early 1960's were a time of experimentation for GM. One only needs to recall how radical the newly released Corvair was to understand what was going on in the design halls at Detroit iron. While the Corvair went on to a 10 year production streak, the equally radical Pontiac Tempest only managed a 3 year run before converting back to conventional power train configurations. Find this 1961 Pontiac Tempest for sale in Tulsa, OK for $2,250 via craigslist. I've said it before and I'll say it again --tippers are the lifeblood of a website like this and finding appropriate ways to reward them (you!) is tricky. However, today we've found the best way to reward DT tipper FuelTruck -- with a fuel truck. Find this 1951 Ford F1 Fueler offered for $5,500 in SF Bay Area, CA via craigslist. Tip from Kaibeezy. It looks sad and neglected, but the seller claims it runs/drives well, so I'd slap a coat of paint and some vintage Shell Oil Corp graphics on the side. I'm not sure why this thing appears to be a doorless convertible, but it could have been a runway airport vehicle and a local fuel delivery vehicle...I got nothin. ANYWAY, this one is for you FuelTruck! While most parts of North America are begrudging digging out of snow piles and cuddling the stove to stay warm, car nuts dream of sunny summer days and endless cruising in a drop-top sports car. There is no better time to scoop up a handsome specimen at discount pricing than during the perils of winter weather mayhem. When the better half wants that warm & dry parking spot in the garage someone is going to loose. Find this 1998 Mercedes SL500 for sale near San Francisco, CA for $4,990 via craigslist. Find this 1991 Dodge Ram 2500 here on eBay bidding for $6,450 reserve-not-met with with a few hours to go, located in Chicago, IL. For decades, Porsche 914's were snubbed by aficionados of the brand. Nowadays, even lowly Porsche 912's are commanding crazy asking prices. A similar fate has begun to happen with other long time cheapo car-guy favorites: the BMW 2002 and Alfa Berlina. 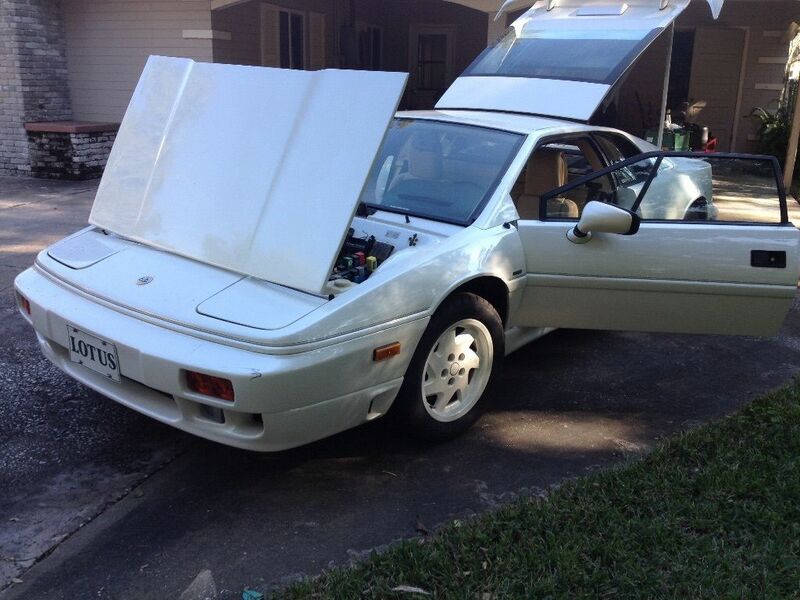 With a little sweat equity, someone can have a very inexpensive classic car here. 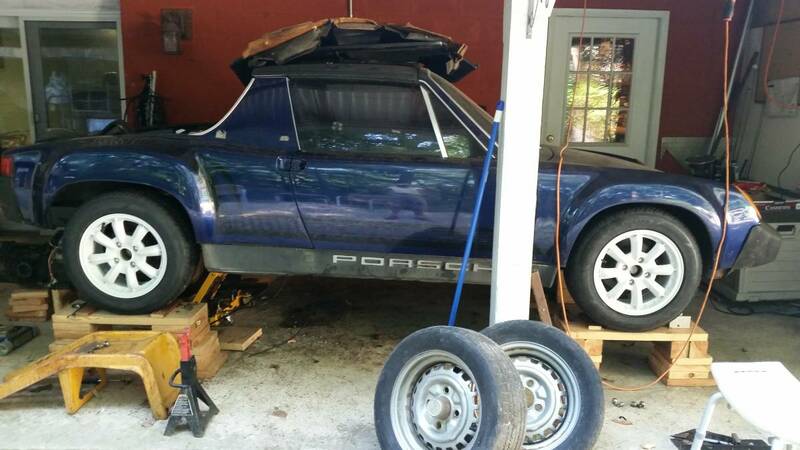 Find this 1973 Porsche 914 for sale in Danbury, CT for $1,500 via craigslist. The Lotus Esprit (es-spree) enjoyed a remarkably long life with only minor changes in its 28 year lifespan. Somehow, the little UK based car builder managed to produce over 10,000 examples from 1976-2004 Find this 1989 Lotus Esprit SE here on eBay bidding for $8,100 with 3 days to go, located in Orlando, FL. 1968 was a year of profound changes around the world-- LBJ declined to run for president and Richard M Nixon is elected, public opinion on the Vietnam war flip-flops, Yale University announces it will admit women, and Ford releases the Torino as a high end version of their mid-sized Fairlane sedan. 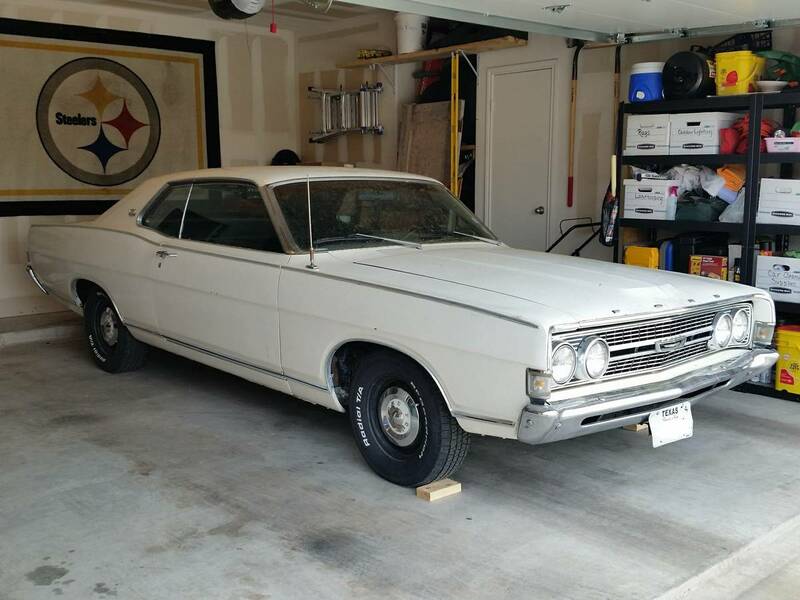 Find this 1968 Ford Torino offered for $6,000 in Austin, TX via craigslist. Tip from FuelTruck. 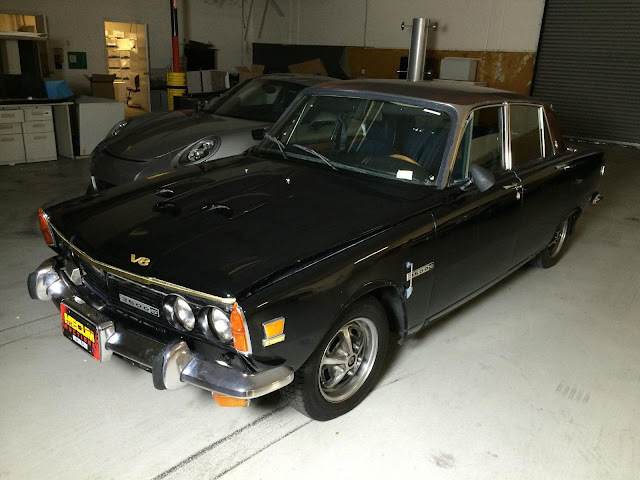 The Rover P6 was released in 1963 as a clean sheet design to replace the P4 & P5. The P6 included a number of advanced features, including a de Dion tube rear end with inboard disc brakes, and a unibody design with unstressed body panels bolted to the frame -- similar in concept to the Citroën DS. It might not be as iconic as the DS, but it is a cool classic, and prices couldn't be more reasonable. Find this 1970 Rover 3500 P6 here on eBay bidding for $999 with 2 days to go. Would you like to get into something vintage, slow, and tippy, like Volkswagen van, but are not impressed by the current asking prices of aircooled junk? You aren't alone, but for every overpriced and overhyped piece of hipster-bait, there is a budget alternative. Find this 1975 Volvo TGB11 here on eBay bidding for $13,000 reserve-not-met with buy-it-now of $15k. The auction ended just as the article was started. This car had to be seen by the DT faithful so here is a healthy dose of some crazy body work. There might be a years worth of What Am I? columns found in this one car. 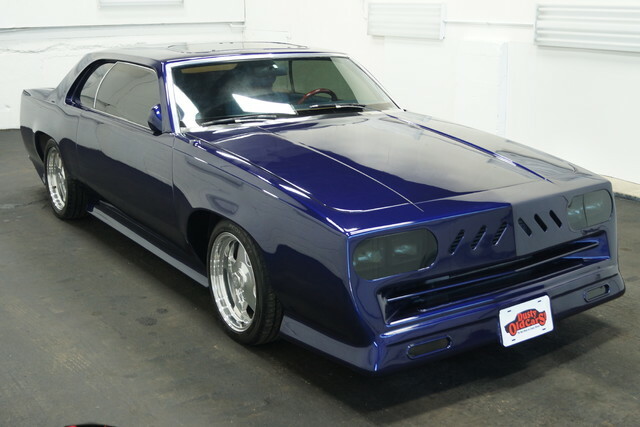 Find this 1983 Oldsmobile Cutlass custom for sale in Nashua, NH for $18,595 via eBay. The Toyota Celica first hit US shores in 1971 as the Japanese translation of the Ponycar. The Celica might not have been powered by fuel thirsty V8s, but the long-hood short-deck styling was perfect for a 7/8th scale Mustang/Camaro/Challenger. While the first series Celicas certainly borrowed heavily from US styling cues, some might argue that the second generation Celica's (which were penned in the US and carried the model from 1978-1981) began striking their own pose, before the 1982's headed off in a much more unique and angular look. 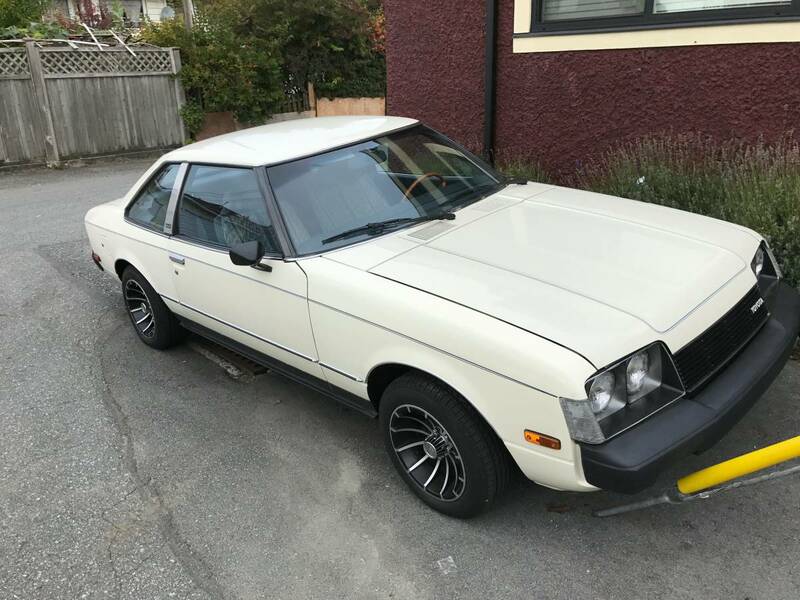 Find this 1979 Toyota Celica ST offered for $5,000 CAD ($3687 USD) in Vancouver, BC via craigslist. Tip from Jeff H.
There was a lot of talk this year about how America doesn't build anything anymore and that we've transitioned to a service economy. All the manufacturing jobs have moved to Asia, blah, blah ,blah, we just sit at Charbucks and use the latest app on our mobile device that we are making payments on, blah, blah, blah. Well these pundits that live in a coastal bubble apparently have never surfed the for sale by owner car and motorcycle sections of Craigslist. Here you will find the American spirit of a guy in a shed that brought us powered flight, computers and other physical things alive and well. Find this Ford powered rat trike for sale in Friday Harbor, WA for $6,500 via craigslist. 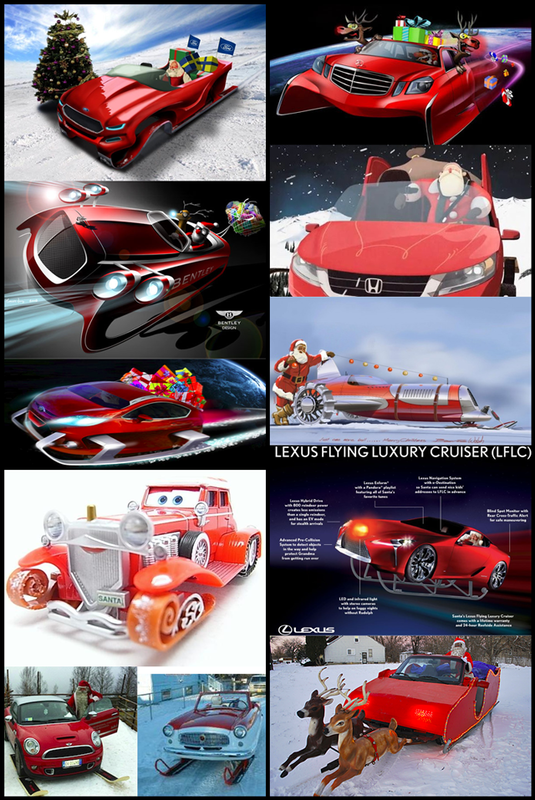 Merry Christmas to all from the staff at Daily Turismo. We are taking to day off from posting the best classics, junk, and awesome stuff on the internet to spend the day with family and hope you do the same. In the meantime, enjoy this recycled Christmas image from KBZ. 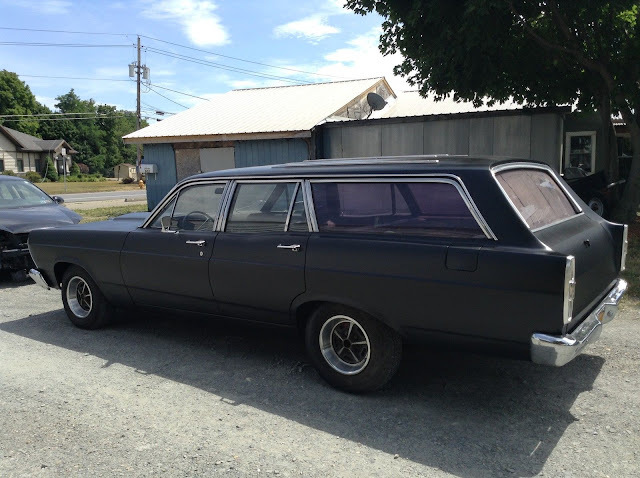 Find this 1969 Ford Falcon station wagon here on eBay in Elmira, NY bid to $2,125 ending on Christmas day. This satin black grocery getter has a Ford 460 big block swapped in for good measure. Who needs headliner, carpet, and a spiffy interior when you are busy melting the rear tires? It is almost time for a big foreign bearded guy to break and enter into millions of family homes around the globe -- but only after he has stalked young children for the past year...but if you want to get you mind onto happier thoughts, check out what you can get for less than 10 large? 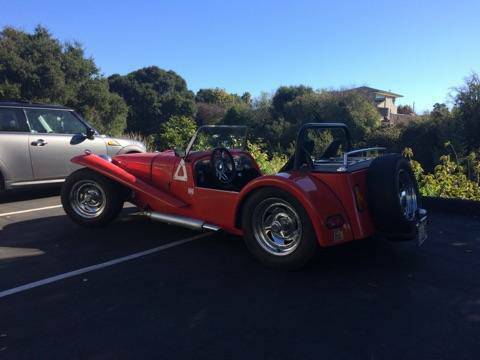 Find this 1960 Lotus 7 Replica offered for $9,500 in Santa Cruz, CA via craigslist. For some reason this next VW kit car thing got me really excited -- I think there might be something in the water, or my eggnog has expired. Regardless, this newt faced GT Invader is just the thing that I want under my Christmas tree. 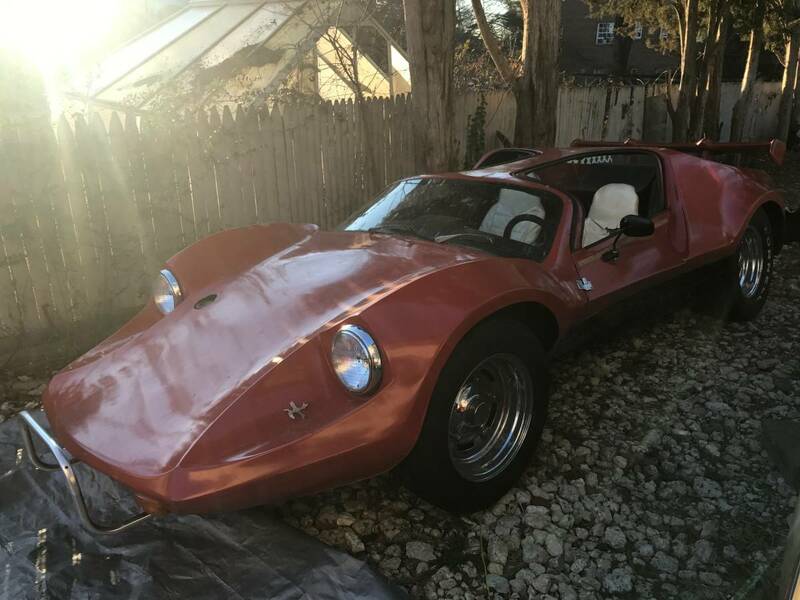 Find this 1966 Volkswagen Invader GT Kit offered for $3,500 near Falls Church, VA via craigslist. Tip from RockOn!